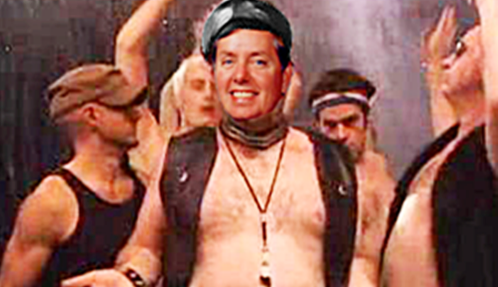 Sen. Lindsey Graham Says He's "91% Sure" That He'll Run For President - Gurl PLEASE! Home/Featured/Sen. Lindsey Graham Says He’s “91% Sure” That He’ll Run For President – Gurl PLEASE! Graham told Fox News Sunday” host Chris Wallace, who asked if the senator was being serious ” I’ve got to put the means together. For his part, Mr. Graham, a “confirmed bachelor” knows that a serious run would take him through his home state, the third major prize along the primary route. “If I didn’t think I could win South Carolina, I wouldn’t be talking to you [about the race],” he told Wallace. Graham also said Marco Rubio will be president one day, whether it is in 2016 or sometime later. Ms. Graham’s “91 percent” comment comes after fellow Republican Carly Fiorina, a former business executive, said there’s a “90 percent” chance she will run. And I’m 100% sure Miss Lindsey will lose. I had the idea of disparaging a gay man but a closeted gay man deserves all the grief he gets.